Twice now I’ve been caught on camera wrapped up in a spotted leopard print robe, and twice now we have opted to indulge in extravagant luxury at one of Kimpton’s edgy Hotel Monaco’s. Located in the epicenter of downtown Denver, Hotel Monaco makes life better on the road! With a bold style, a vibrant atmosphere and plush, elaborate rooms; a playful design, perky amenities and incredibly obliging staff; we drove into Denver ready for the ultimate boutique hotel stay. 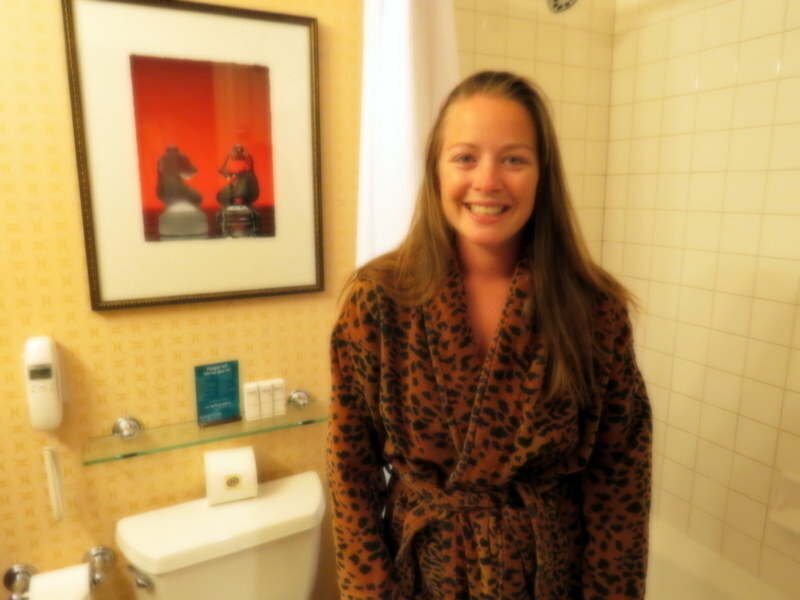 And it was here, at the Hotel Monaco Denver, where I was caught on camera rocking that leopard print robe…because the Kimpton experience is a completely different way to stay! Kimpton truly excels at creating hotels as unique as you are, and an evening at the Hotel Monaco is an experience unlike any other. Beautifully designed suites allow the everyday traveler to escape into a world of decadent luxury, even if just for one night. Snazzy, wild bathrobes encourage guests to embrace their wild side, and you’ll forever lust after those luxe linens and pillows as no other bedding will ever compare. Complimentary high speed internet access (provided you sign up for free to become a Kimpton member) will keep you connected, and yoga mats provided in each room will keep you fit! A nightly hosted wine hour and morning coffee keeps guests hydrated, and complimentary custom bikes meets each individual’s city sightseeing needs. Kimpton have truly set a new standard for customer satisfaction. In fact, their “standard” perks are decidedly non-standard. Kimpton has you covered with all of the travel amenities you could possibly need – as well as those you hadn’t even considered! Free during each stay are re-sealable plastic travel bags, fashion tape, fans, humidifiers, straightening irons, curling irons, hair dryers, steamers, feminine care products, heating pads, makeup mirrors, sewing kits, computer/mobile chargers, extension cords; the list goes on! And of course…who can forget those plush animal print robes! Click on individual photographs from our stay to enlarge. An evening at the Hotel Monaco is an experience unlike any other, and one which will ruin all other boutique hotel experiences for you. As we drove out of Denver I couldn’t help but to look back with a serious pang of regret having not spent a more serious amount of time here. So incredible was our evening at the Hotel Monaco that I guarantee you’ll catch me rocking the Kimpton robe once more! Read about the time we were seduced by Kimpton’s Hotel Monaco, DC! It’s such a fun addition to a hotel experience!! I agree that wifi should be complimentary with all hotel stays, in fact it’s usually something we look for before making a booking; though I don’t mind too much having to sign up for it if it’s free. Fantastic little boutique hotel here Megan. Love that bed head, too. How big is that? Is it taller than me? (I’m 6’2″). I’ll keep the Hotel Monaco in mind when I head over to Denver. I wanna check out the Denver International Airport.. Strange place that one. Lol probably is taller than you – it was taller than me!! Monaco really is a neat boutique hotel – you won’t be disappointed with it or with Denver! I love that they offer free bike rentals and that they have yoga mats in the room! Looks like a great place to stay and I love the design! Bike rental isn’t something you think you need until it’s on offer, and then you realize what a truly great perk it is! We had such a great time discovering the city by bicycle! Ooh nice! Loving the extremely fluffy looking (and super fun) robe!Also a big fan of the yoga mats in each room, they can be a pain to travel with so that’s a really nice touch! They really excel at those nice little touches. It’s always the small things which add up to a great travel experience! I Love that robe!!! Hey no shame, if it were me I’d be wearing that whenever I was in my hotel room. Looks like such a nice and fancy place! I actually like that bed frame, it’s interesting I haven’t ever seen one like that before. Lol I pretty much was :D! I loved the bed frame too! They do really well at making everything really unique and interesting…right down to the gorgeous bed frame! Wow, you really rock that robe, Megan. Love the attention to detail. That’s something that’s slowly but surely entering the mindset of hotel owners on Gran Canaria. About time. Lol thanks Matt! Glad that owners around Gran Canaria are starting to pick up on attention to detail! It truly does go a long way to making a property stand out above the rest. It’s the little details which add up to a great travel experience after-all! The title of this post is great!! Looks unreal – the hotel looks fabulous and the robe really seals the deal! Thanks Alli! The robe definitely sealed the deal!! Love these boutique style establishments and Kimpton really seem to deliver high quality accommodation options wherever they have a location! Those relatively short beds could cause a problem though as being almost 6’3, I would likely be hanging off the end of the bed but the beauty and comfort of the room in general may well make up for this! You should check out the Kimpton hotels in DC – we stayed at the Hotel Monaco DC and they actually had what they call “Tall Rooms” which cater specifically to those who are taller. Larger beds, higher vaulted ceilings etc. Cool concept! No wonder you get so many stalkers!!! You look fabulous in that robe, Meg!!! awesome video!! Loved it. Now I want to get my wild on in one of those robes! Looks like a blast. Thanks Savanah! I can highly recommend the Hotel Monaco for a wild fun night :D It’s perks and fun amenities like that which really do just totally make a stay memorable! 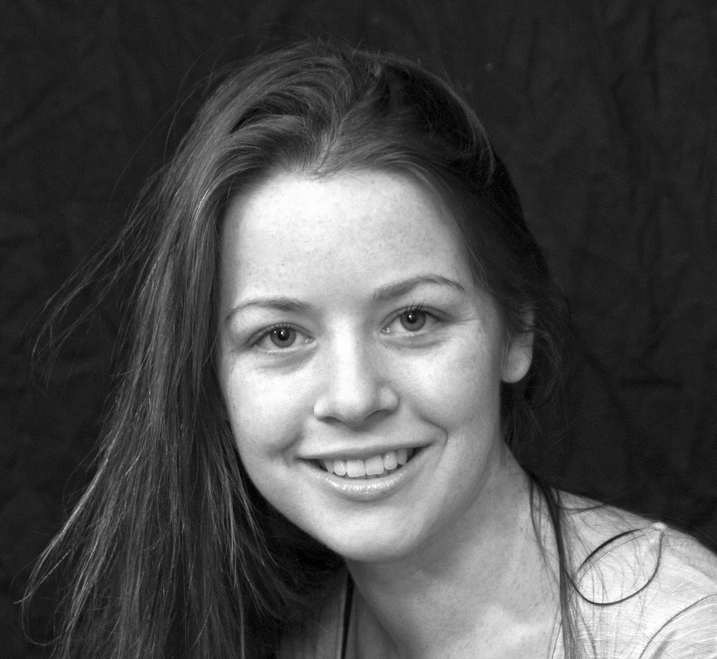 Hello Megan! I like the quality of the shots you’ve been taking throughout the trip. May I ask what camera were you using during the trip? Judging from the photos, it seems like you’ve been enjoying the whole trip. 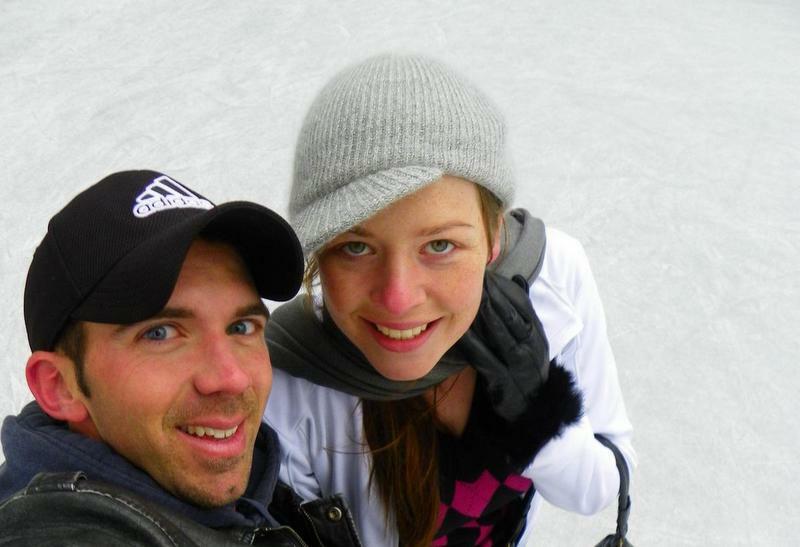 I like to hear from you more through this blog and your adventures. Cheers! Hi Elle – so glad to hear you’re enjoying photos from our travels. For this specific post, and for the majority of the photos on the blog to date, we’ve used a Cannon Powershot SX 50 – an amazing mid range camera if you’re not looking to jump to a DSLR. Highly recommend it, it’s fab! We’ve just recently upgraded to a DSLR and purchased a Nikon D5300, so all of our newest shots that you’ll be seeing on facebook and instagram etc are shot with that. Though for all of Mike’s wildlife photos he still uses the Cannon because you can’t beat the zoom.